Since the beginning of time, women have lived with single motherhood, domestic violence and abandonment. There also have been women who have defied the status quo by teaching, leading and working with men. This Bible study discussion book, for women and men, lends support to women in these roles and provides models for issues affecting contemporary women. 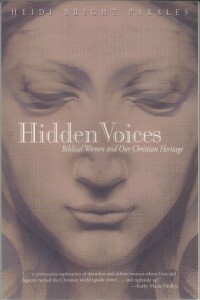 Hidden Voices offers a fresh, inspiring look at the stories of women in the Bible, how Jesus treated women, and the difficult passages concerning the role of women. This Bible study discussion book is a dense primer on women in the Bible, particularly on the difficult passages concerning the role of women. It lends support to women in Christian leadership roles and provides models for issues affecting women. Part of the United Church of Christ Faith Practices series using a devotional format. 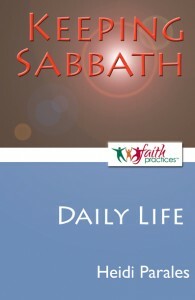 Sabbath is intentional time taken by individuals and faith communities to integrate the Divine with humanity and creation. Practicing Sabbath leads us to a fuller understanding of who we are as children of God. This book is aimed at persons 18 and older who have a career or are students. The book focuses on three contexts of daily life: household and family, individual and personal, and workplace and community. Practicing our faith is a lifelong process.